Should a writer hire a freelance editor before submitting to an agent? And should editors accept the work? Most of the writers who ask for my help have elected to self-publish. Our conversations don’t leave me feeling conflicted. The writer has a problem and we focus on whether I can solve it, when they want me to do this, and what it will cost. But every few months or so, the discussion becomes complicated and my initial response is novel-length. Why? Because my writer wants me to copyedit or proofread prior to agent submission. It’s high time I put my thoughts and findings down in one place. If you’re a writer or an editor (especially a beginner) who’s feeling flummoxed, here’s some direction. Right/wrong or yes/no isn’t the best approach. Instead, I recommend that writers make informed decisions based on a solid understanding of editorial process, and that editors make informed decisions based on professional integrity and a solid understanding of authorial intention. What problems do editors solve? An editor, broadly speaking, is someone who helps prepare written material for publication. However, that prep doesn’t happen in one hit. Think of it like a Sunday roast – if you start cooking the carrots at the same time as the meat, you’ll end up with a tender joint and a pile of orange mush … or sweet veg and something that belongs in a field not on your plate. The editorial process is not so different – there are lots of things to do but the order and timing of each stage is critical. Do you struggle to punctuate dialogue according to industry standards? Do you tend to overwrite? Are you worried that your characters aren’t sufficiently well drawn? Is standard grammar a sticking point? Is your plot difficult to follow? Is your narrative point of view confusing? Do you have problems with formatting the different elements of the text consistently? Some editors offer all of these services, some only one or two. Those who offer multiple stages might do a couple at the same time (e.g. line editing and copyediting) but I know of none who offer all four simultaneously. Bear in mind that editors customize their services – what one person includes in a copyedit might be restricted to another’s line edit. Don’t be afraid to ask for specifics so that you have a mutual understanding of what’s included. It’s all very well for experienced agents and editors to say you need X but not Y, but that doesn’t necessarily help the author. Many beginner writers don’t yet know what their sticking points are. You can’t fix something that you don’t realize is broken. The severity of the problem is a complicating factor. A small scratch and a gaping wound are not the same thing. Imagine the writer decides not to commission a copyedit because they’ve heard it’s the big picture that counts, not a few typos. Fair enough, but what if we’re not talking about a few typos? What if we’re talking about a novel that has a wonderful plot, is beautifully paced and features enthralling characters but, line by line, the narrative is overwritten and so fraught with grammar, spelling and punctuation mistakes that it’s frustrating and unpleasant to read? All the good stuff is buried beneath the blunders. On the flip side, let’s imagine that a writer decides to make sure the book’s in tip-top condition at sentence level but the characters are one shade of grey and the plot’s plopped. In both cases, there’s just too much for an agent to do. And that’s why the yes/no approach to the question of whether a writer should seek professional editorial help prior to submission is problematic. I couldn’t agree more. Recall the types of editors I listed above in ‘What problems do editors solve?’. I deliberately staged them because there’s a hierarchy. The hierarchy isn’t based on importance but on logic. There’s no point in having a line editor and copyeditor tighten up your narrative if the point of view is a catastrophe; nor is it worth spending hundreds of pounds to ensure that your dialogue is punctuated according to industry standards if the characters giving voice to those words are under-developed. With that in mind, start with the big picture – a manuscript evaluation, critique or a mini developmental edit. If you’re an experienced writer, that might be enough. If the evaluation identifies major problems, you might decide to invest in a full developmental edit, but at least your decision will be informed. 1. Your query is getting you in the door, but your pages aren’t getting any bites. 2. The feedback you’re getting from agents doesn’t make sense to you or doesn’t fit your vision for your story. Editors are not ghost writers. They have to work with what they’ve got. Approaching the editing as a learning experience means that you see it as a long-term commitment. [I]f you are thinking of getting a professional editor to perfect your work before submitting it, you are treading a tricky line. […] It depends on how much the editor has done. If too much, then your agent will get the shock of his life when you present him with your unedited follow-up book and he realises that your first one was hugely improved by someone else. If you say that your book has been ‘edited’, he may wonder just how much help you had and how much help you’ll need in future, [which] could sow doubt in the agent’s mind. […] An editor is a good support, but should never be a crutch. Gardner and Morgan remind us that if you hire an editor for book one, submit and get a publishing contract, you’ll need to do it for your next book, and the one after, and so on. Over time, you’ll become less dependent on an editor as your novel craft grows, but it won’t happen in one book. There are different stages of editing. Not all editors specialize in all stages of editing. An editor works with what they have – you’re still the writer. The relationship will likely need to continue for future submissions while you’re learning. Remember the order of play – big picture first, sentence polishing later. This information will help the editor work out whether their services are appropriate for you. Answers to these questions will help you to work out whether their service offering matches your goals. Should editors work with writers submitting to agents even though a publisher will likely take a book through the editing process? It depends. If you’re a specialist developmental editor who understands story craft and what makes a book attractive to agents and publishers, then yes, absolutely. You can be part of that learning process that Gardner and Morgan discuss, someone who helps the writer put their best foot forward in a competitive market. What about if you’re a sentence-level specialist like me? I think we need to tread mindfully. Does the writer understand the different stages of editing? Is the structural work complete (either because the author is experienced and able to do it themselves, or they’ve hired professional support)? Have you seen a sample? Is the book comfortable to read, line by line, even though there are spelling, grammar and punctuation errors and inconsistencies? What are the author’s preferences? The sample was beautifully written (to my copyeditor’s eye) – engaging from the get-go. I could see clearly how I’d amend the minor spelling, grammar and punctuation errors but they in no way impeded the book’s readability. I would have loved to copyedit that book but I cautioned the author to hold off, do some research into her chosen agents’ requirements and consider a critique first. She took my advice. The sample was gorgeous – moved me to tears, in fact. However, English was the author’s second language and the book was severely impaired at sentence level. I was able to identify how I’d smooth and correct the narrative but advised her on the order of play and recommended higher-level editing first. She insisted that the structural work was complete, that she’d gone as far as she wished, and that she’d self-publish if she was unsuccessful in securing representation. I did a sample edit, we agreed terms and I spent a blissful month line editing and copyediting for her. The sample was problematic – I couldn’t get under the skin of the thing. The writing seemed flat, like a textbook rather than a work of fiction. The spelling, grammar and punctuation needed a little work though the errors didn’t impede readability. I could have copyedited that book but it wouldn’t have made any difference – even though I’m not a developmental specialist, I knew the book wasn’t agent-ready. I gently advised the author of my concerns and suggested some structural-level options (and colleagues who could assist him). Despite my advice, he expressed a preference to go ahead with copyediting. I declined, wished him well and walked away. The sample was strong – the author had worked intensively with an agent to knock the book into shape. He was looking for a once-over to check for howlers, sloppy punctuation, gaping plot holes and a general tidy-up. His agent had recommended he commission a copyeditor to give him the best chance of securing a publishing contract. I didn’t hesitate to quote. But I'm an indie author. Why is agent submission relevant? Even self-publishers can benefit from agent submission. 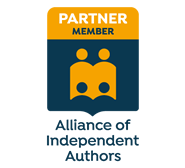 The Alliance of Independent Authors (ALLi) partners with Toby Mundy Associates (TMA) agency to sell translation and other subsidiary rights for self-published authors. Even if you're self-publishing, the right agent will be able to help you with specialist support. There’s no right or wrong when it comes to an editor and an author working together prior to submission. What’s crucial is that the decisions made are informed – based on an understanding of the different levels of editing and the order of play. That applies to authors and editors. Authors need to focus on the big picture first, then follow up with sentence-level work if the problems are severe enough to frustrate an agent or a publisher. Editors need to be transparent about their specialist skills and mindful of the author’s preferences, but also be prepared to walk if they believe that their input would be without purpose. Think you might like to revisit this advice? Feel free to download the booklet below! This is the third in a series of guest posts by my colleague Steve Allen, a soldier-turned-editor who specializes in firearms and military-particulars editing. Here are five more tips to consider when writing about firearms in fiction. A thumb safety on a Glock pistol is the most common firearm mistake I see. There is no manual safety on all common models of Glock pistols. Confusing matters even more, for military pistol trials, Glock just released two versions of pistols with thumb safeties. Whether the thumb-safety Glocks will be sold to the public is yet to be determined. Writers adding features (other than thumb safeties) to pistols that are not included by the manufacturer. Pistols firing (or not) with the magazine removed. Many European-made pistols will not fire with the magazine removed; only some American-made pistols have this feature. Thumb safety on revolvers: that damn thumb safety rears its ugly head again. There are very few revolvers that have manual safeties, none of which would make a decent sidearm for a character. A less common features mistake is changeable grips on polymer pistols with solid, moulded grips. Heckler and Koch and Smith and Wesson both manufacture polymer-framed pistols with exchangeable grip panels, but not all polymer-framed pistols share this feature. Unfamiliarity with suppressors causes frequent writing mistakes. Movies and video games misrepresent suppressor efficacy. Seeing Special Forces (SF) units in the news, in video games and in movies, where every weapon is suppressed, has increased the appearance of suppressors in fiction. In uberguy lit, suppressors are quite common. The movie No Country for Old Men is a horrible portrayal of suppressor use by a criminal. Shooting video games such as Hitman and Call of Duty also fail to portray suppressors correctly. Commonly called silencers, suppressors excel at quieting gunshots. Most suppressors shooting supersonic (greater than 1,126 ft/s or 342 m/s) ammunition reduce the sound of the gunshot to barely below 85 dB, the hearing-protection safety threshold. Suppressors fail to silence the sonic boom or crack of the bullet breaking the sound barrier. People close by may not be familiar with the crack of a bullet, but something out of the ordinary happened and they are unlikely to react as if nothing occurred. Usually the crack of the bullet is lost in the gunshot. Suppressors sound similar to a loud nail gun or a car door being slammed shut, followed by the crack of the bullet breaking the sound barrier. To get the ridiculous mouse-fart sound from the movies requires specially loaded, subsonic ammunition. Some guns will not shoot subsonic ammo very well, increasing the likelihood of malfunctions. Despite common perception, with proper paperwork, suppressors are legally owned in most US states. According to the Bureau of Alcohol, Tobacco, Firearms and Explosives (BATFE), very few legally owned suppressors are used in crime. Possessing a suppressor in the US without proper paperwork is a felony. If your hero breaks federal laws, he or she had better have a very good reason. The specific legality in the US of Title II devices, such as suppressors, short-barrelled rifles and machine guns is outside the purview of this article. 4. Is machine gun – no? Now we’re onto confusion between what is a machine gun and what is not. As an author, know if your character uses an illegal weapon such as a machine gun. An AR-15 is not a machine gun according to the BATFE. An M-16 is a machine gun. The AR-15 and the M-16 look exactly alike because they’re based on the same gun platform, but with very different internals. The few semiautomatic rifles able to be converted to full auto require extensive firearms knowledge and machining. Converting a legal weapon into a machine gun is generally not worth the cost and effort. Unless required by the story, I suggest staying away from illegally converted weapons. ​The BATFE ensures that weapons sold in the US cannot be easily converted to machine guns. Easily convertible older gun models are either banned by law or covered under Title II and treated as a machine gun. If your character possesses an illegal weapon, there has to be a very good reason why. The vast majority of firearms enthusiasts are law-abiding people who would never commit a felony by possessing an illegal weapon. The saying goes, ‘Better to be judged by twelve than carried by six’. Twelve people sit on a jury; six people carry a coffin. If your characters use illegal weapons, they should also understand that there will be severe legal consequences later. There are firearm scofflaws, most of them extremists and felons. Your law-disregarding hero falls into this category. I don’t expect writers to be experts on the myriad gun laws. In the US, the BATFE lists illegal weapons on its webpage. Most other countries have similar law-enforcement agencies; a little internet research goes a long way. Next time, we'll be looking at back stories, toys and shooting skills. Feel free to put your questions to Steve in the comments. Steve Allen is a retired soldier living north of Seattle, WA, with his lovely wife and daughters, and a neurotic terrier and a goofy black Labrador. When not editing, Steve wanders the Pacific Northwest on roads less travelled, searching for good books and very cold beer. ​In this series, I’ll show you several ways to use a chatbot to engage with your readers, expand your fan base and put a smile on people’s faces! Today, the focus is on building a bot campaign to market a book on Facebook. Bots are still a massively underused tool so incorporating them into your book-promotion strategy now will help you to stand out. In short, a chatbot is a computer program that simulates human conversation. I built my own chatbot in August. Yes, it's a computer program but it's helping me digitally with my business so I wanted it to have a face and a name that I could work into my chatbot marketing campaigns. I called it Lulu and asked my friend, illustrator Rachel Holmes, to create the design. I think she did a great job of putting the art into artificial intelligence ... this is what Lulu looks like! Cute, isn’t she? My preferred bot-building platform is ManyChat. It’s straightforward to navigate and I appreciate being able to run four simultaneous live campaigns free of charge. There are restrictions with the free version – for example, you can’t automatically transfer subscribers to your mailing list – but you can still do a huge amount without spending a bean. In this article I’m focusing on how to use the Facebook comments growth tool for book marketing. To follow my lead you'll need to have set up your own ManyChat account and linked it to your Facebook Page. Where to find it: Growth tools > New growth tool > Other growth tools > Facebook comments. Potential goals: Pre-launch promotion, fan-base engagement, mailing-list growth, sample-chapter delivery, conversation, landing-page link, and bookstore pre-order. Here’s an image of the fake book I've knocked up for demonstration purposes. In my sample promotion campaign, I’m offering fans the opportunity to enter a free draw. The winner will have their name assigned to a key supporting character. ​Let's see how we can use a chatbot and a Facebook Page to deliver this campaign and achieve the goals outlined above. Here's how it works. Facebook wants to keep people on Facebook – the longer people stick around, the more likely they are to click on paid ads. And if advertisers generate leads with their ads, they’re likely to buy more. That means more money for Facebook. Facebook also wants to provide a good user experience because that will encourage more people use the platform. Users who are having a good time will feel informed, engaged, entertained and helped. Facebook's algorithm identifies content that ticks those boxes and prioritizes it. Key indicators are likes, shares, comments and time spent engaging with a post (e.g. when watching a video). The more engagement you create on a Page post, the more Facebook will reward you for your neighbourly behaviour by pushing your content beyond your existing community (friends, followers and likers). Comments are the powerhouse behind this campaign tool. A great way to generate a comment is to offer something in return. I've given away free ebooklets and checklists that help writers with self-editing, and fellow editors and proofreaders with professional development. If you promote your book on Facebook by posting a nice piccy and a link to your website where there’s, say, a free sample chapter, you’re pushing people off Facebook. But if you offer that same sample right there on Facebook, you’re keeping your visitors on Facebook’s land. And so you’ll be rewarded with increased audience reach. ManyChat’s Facebook comments growth tool allows you to do exactly this: a trigger word in the comments tells your bot to deliver your freebie to the commenter via Facebook Messenger. Your fan doesn't have to leave the platform to get the goodies. There are two core elements to the build – the onboard ManyChat tool and the Facebook post. Set up your campaign: Growth tools > New growth tool > Other growth tools > Facebook comments. Give you campaign a name. Scroll down the page and enter the trigger word you'll be instructing your commenters to writer on your Facebook post (it’s not case sensitive). Save and click on Next. Now you're in the Auto-response pane. This is where you create the first message that your commenter will receive in Messenger. It’s effectively where they subscribe so it’s important to tell them how they can opt out if they so wish. For the purposes of this campaign, the list of names that the bot collects will be those who are entered into the draw. The image below shows the message I created for my mock campaign. To prevent spamming, ManyChat requires that the person carries out another action to opt in. I ask them to type SEND. Use the person icon in the black box in the bottom-right-hand corner to personalize the greeting in your message. Save, scroll down and select Next again. Now you're in the Opt-in Actions pane. This is where you can start to be creative. When creating your message, think about your goals; then add buttons, links, and supporting images to help your customer get what you're offering. First, ensure that the middle button is checked in the Sending Options list. Now you can create another personalized message and add images, videos, audio, files and buttons. So, if, for example, you were giving away a free sample chapter or ebook, you'd click on the File (paperclip) icon and upload your PDF. ​​For demonstration purposes I've kept things simple: an image and a message that tells people when the draw will take place. I've also elected to create two buttons: one to allow the commenter to have a real conversation with me on Messenger, and one linking to my book's Amazon pre-order sales page. To create the direct conversation button, click on New Button #1. Now use the scrollbar to move down the page. Select Action. Select Open Conversation from the menu, and click on Done. To create a button with a link to your website (or, as I’ve done here, to the book’s pre-order page on Amazon) click on +Add Button. Amend your button text and click on Open website. Add the URL and click on Done. Now test your setup using the Preview button. You’ll receive a message in Messenger that mimics what your visitor will receive. If everything’s working properly, select Publish. Now go to your Facebook Page. Create a new post that tells your audience about your promotion and the trigger word they need to write in the comments to get the offer. Including a picture or native video is also a great way to draw attention to your post. Here's a mock-up design of my sample campaign. Now head back to ManyChat. Select Growth Tools and click on your campaign. Now you need to link the two elements of the build. A window will appear with the Facebook posts available for linking to. If your campaign post is the most recent content on your Page, it'll appear at the top, but scroll down if necessary. Select your post; it’ll link to the chatbot build. Click the checkbox followed by the blue Save button. Now shift the button from Draft to Active. A green button will appear saying Widget Activated. And that’s it – your campaign is live! Create a button that enables people to sign up to your author newsletter or mailing list (using the same steps that I illustrated for the Amazon link). That way you can build your audience on your own land as well as Facebook’s while still using the free version of ManyChat. Add a short video thanking your commenters for engaging with you. To build your network, friend the Facebook commenters and ask them to like your Page. Say thank-you to each Facebook post commenter – it shows you’re engaged with your campaign and the people who’ve shown interest. Use Twitter, LinkedIn, Instagram, Snapchat and your writer Facebook groups to tell your followers about the fun that’s going on over at your Page. When you receive email notifications from Messenger that someone’s responded to your campaign, click through to your Facebook Messenger inbox. Sometimes the bot will glitch. Don’t worry – it’s an opportunity to have a direct conversation. You’ve made people smile and they’ll forgive a technical problem if you acknowledge it. I’ve created a gif that I send manually when there’s a fault! ManyChat’s Facebook comments growth tool is a fun, friendly and effective way to build Page awareness, increase organic reach beyond your existing Facebook community, and generate excitement about your book. In future articles in this series, I’ll walk you through how to use a chatbot to build your mailing list, help people navigate their way around your website, and take action on a landing page. I’ll also delve deeper into how you might use these tools creatively to build your fanbase and get people talking about your books. Until then, it’s goodbye from me and Lulu! P.S. From 1–24 December, Lulu and I will be having a little festive fun on my own Facebook Page. Do drop in to see what’s going on! ​An editor or book coach can teach you new ideas and techniques, and help you begin the journey of mastering novel craft right from the get-go ... if you're prepared to embrace a growth mindset. My guest this week is Lisa Poisso, a professional editor and writing coach who specializes in helping authors fix the big-picture problems. I don’t know what I’m doing, and I’m not very good. Will you fix my book? If this sounds like the way you tiptoed into your first professional edit, you’re due for a new mindset. An edit is a creative opportunity begging to burst open and drench you with new ideas and techniques. There’s no better time to reach for growth than when you’re first starting out. You’ll hear a lot of publishing types claim that debut authors need to put in their dues. Write, they tell you, and fail. Write more, and fail again. That’s the apprenticeship process – or so they say. But it doesn’t have to be that way. Hiring an editor or writing coach can be a smart way to accelerate your learning curve. It’s all about the way you and your editor approach your edit. Are you feeding your writing with a fixed mindset or a growth mindset? If you’re a first-time author, your debut novel isn’t likely to hit it big. You know that. Editors know that. So you might tell yourself that there’s no sense in paying for a professional edit until readers start buying your books and ‘it really matters'. The problem is this: if your book isn’t very good and nobody wants to buy it, when will it really matter? Enter a new mindset about developing your craft. The fixed mindset, a term developed by Stanford University professor Carol Dweck, keeps your feet stuck to the same two dusty patches of dirt you’ve been standing on for years. With a fixed mindset, you accept that you possess finite abilities capped at a specific level. Editing is about propping up your shortcomings and repairing your inevitable mistakes. But editors can help you achieve so much more. Your editor can show you how to structure a compelling story, beef up the elements that drive your plot, solidify your language, and polish your writing voice. You’ll make strides it might have taken years to struggle through on your own. But that won’t happen unless you decide that developing your craft is worth the time, money, and effort. It won’t happen until you agree that you’re ready to grow. A first novel is a learning experience. Authors call them ‘practice novels’ or ‘trunk novels'. They write their hearts out and then lock the results deep inside a file cabinet or trunk. The results aren’t all that different from the canvases artists create to experiment with and practise new techniques. They’re not meant for public consumption. Good on you for finishing your first manuscript. A complete novel is a tremendous achievement – but it’s unlikely that this first effort will become a bestseller. So start writing the next one. If you really want to make a go of this writing thing, you’ll need more than one good idea in a lifetime, right? Whip up the next concept and get it simmering. Meanwhile, seek feedback on the first manuscript from a writing partner or critique group. Give yourself the space to learn as you go rather than pinning all your hopes and ambitions on a single beginner’s effort. And then when you’ve finally written something your test readers and critique partners are giving you good feedback about, consider a professional edit. You could keep plugging away for years, feeding book after book to your writer’s trunk. You might gain some confidence and make some incremental progress. But without professional feedback, you might not be able to figure out which parts of your story work and which don’t. You might not be able to spot what passages show a distinctive authorial voice and what parts are still mushy. At some point, it’s time for professional eyes. Send your manuscript to a few editors for a professional assessment. You’re not hiring anyone yet; you’re not paying for a critique or evaluation. All you want is that initial handshake. Every editor performs some sort of brief survey of new projects to help them decide if the project and type of work required falls within their wheelhouse. Ask the editor to flip through, take a peek at a few spots, and see if your work is ready for editing. What strengths and weaknesses do they spot? What kind of editing do they recommend? Would they take you on as a client or do they have other recommendations? If the results are encouraging, use the feedback you’ve gathered to help you choose a compatible editor. It’s time for some editing. Even a routine, production-oriented edit is a learning experience. But when you hire an editor who enjoys working with authors bent on growth and improvement, an edit becomes something else altogether: an intense, one-on-one workshop in storytelling and writing. I like to compare your motivations for an edit to the motivations you create for the characters in your story. Your characters’ external, conscious motivations wrap around their secret, unconscious motivations – and the same goes for you. ​Polishing your manuscript for publication might be your conscious motivation, but with a growth mindset, you’ll come to realize that the real value of an edit lies in the substantial leaps you can make toward mastering your craft. Professional editing is no guarantee that your novel will be publishable in the end. But if you’ve chosen a qualified professional, you can count on acquiring invaluable insights into your writing technique. You can count on a growth experience. ​What’s your writing worth to you? I’m constantly astounded by the number of new writers who don’t believe that writing is worth the level of commitment any serious hobbyist would give their hobby. A recreational cyclist can easily drop thousands every year on bicycles, riding gear, event and travel fees, club and periodical subscriptions, and more. A collector of anything? The expenditures are obvious. But when it comes to writing, people somehow feel guilty about spending money on classes or craft books or editing to help them develop their passion. ​Just think how conflicted they must feel if they’re also harbouring hopes of getting published. Somehow, they have to go from beginner to professional with no help – and at no cost. Is a professional edit still worth it even if your book never gets any bites from an agent or sells more than 50 copies on Amazon? If using your manuscript to spring to a new level of skill ignites your creative jets, you’re ready to invest in yourself. You’re ready to turn a growth mindset into growth. It’s that simple. See you on the other side of the edit. Lisa has been a publication editor, journalist, managing editor, content writer, and communications consultant for more than 25 years. She holds degrees in journalism and fine arts and remains a working writer. She’s a member of the Editorial Freelancers Association and a charter member of the Association of Independent Publishing Professionals.